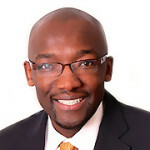 Mubuso Zamchiya is Executive Director of the Albany Charter School Network. Prior to joining the Network, Mubuso was a Regional Director of a national charter school organization and was responsible for six charter schools serving approximately 3,000 students in Maryland and Pennsylvania. He previously launched a company called School Ventures, leveraging private enterprise as a means to improve education opportunities for children in Kenya and Zimbabwe. Mubuso has worked in a variety of sectors, including international development, the power industry, and retail and commercial banking, with world-class organizations like the International Finance Corporation (IFC), AES Corporation, and Barclays Bank. He is the founder of the BOOST Fellowship, an initiative in Zimbabwe that helps young people make a successful transition from the classroom to the workplace. He is a recipient of the Pahara-Aspen Education Fellowship, Archbishop Tutu Fellowship, and the Echoing Green Fellowship awards, for innovation in public education, in leadership, and in social entrepreneurship, respectively. He earned a Bachelor of Laws (Honors) and a Master of Laws in Commercial and International Law at Bristol University, and also read for a Master of Philosophy in Development Studies at Wadham College, Oxford University, as a Rhodes Scholar.